Prime Minister Perry Christie attended the unveiling of a plaque commemorating the 50th anniversary of the 1962 visit of US President John F Kennedy to The Bahamas. 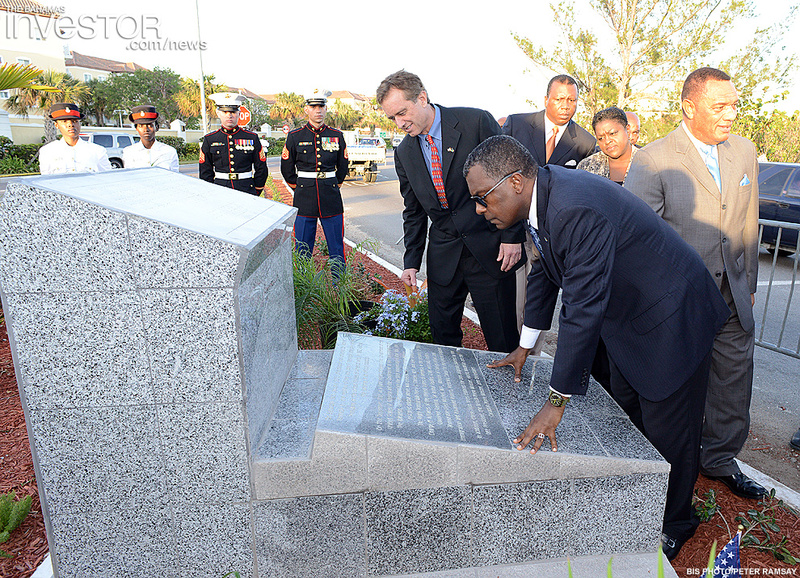 The unveiling ceremony was held January 19, 2013, at the junction of Blake Road and West Bay Street to commemorate the meeting of President Kennedy and then British Prime Minister Harold Macmillan. Trees have also been planted at the site to mark the occasion. 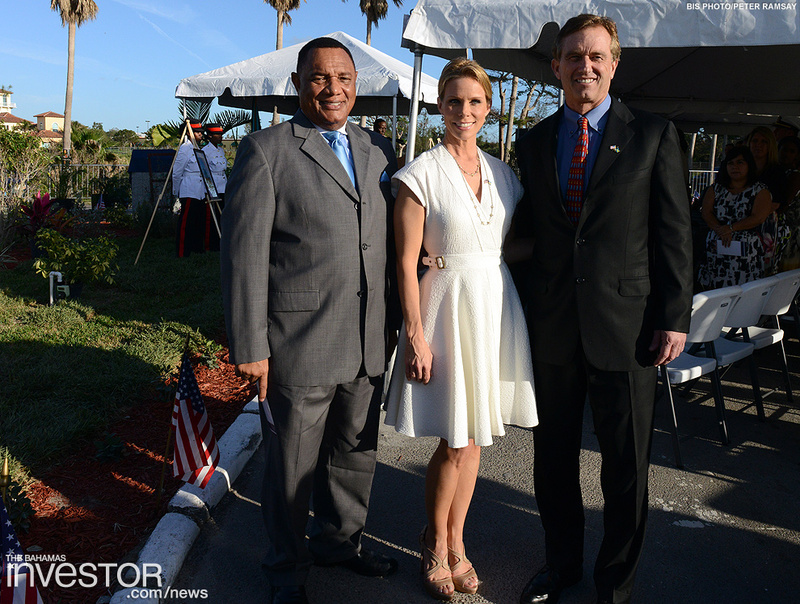 Also present for the plaque unveiling were: Robert F Kennedy Jr, nephew of the late president and son of his brother, the late Senator Robert F Kennedy; actress Cheryl Hines; Minister of Foreign Affairs and Immigration Fred Mitchell; United States Charge’ d’ Affaires John Dinkleman; Cabinet Ministers; Members of the Diplomatic Corp; and other government officials. The unveiling of the plaque comes one month after the planting of ficus trees at the cite, as reminders of the significance of the visit of President John F Kennedy. 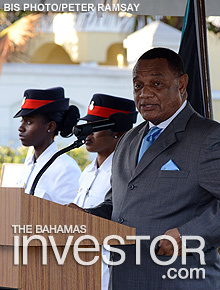 “On 21 December, 2012, we celebrated the legacy of President John F Kennedy, the only sitting American President to visit The Bahamas in an official capacity. Today, one month later, we return to this historic site to continue those celebrations, on this occasion, however, with the nephew of President John F Kennedy, Robert F Kennedy Jr, to whom I wish to extend personal greetings and a warm welcome to The Bahamas,” the Prime Minister said. 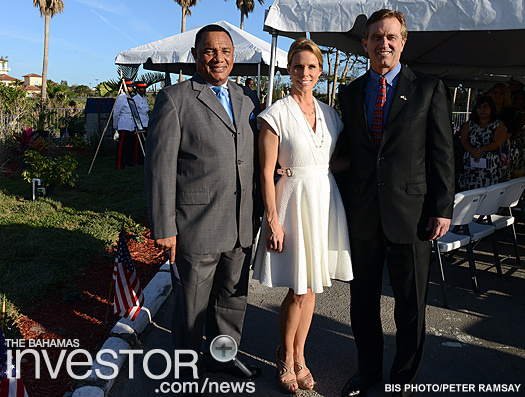 Robert F Kennedy Jr is also in The Bahamas to give a talk on climate change at College of The Bahamas January 21. 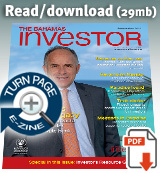 The late President Kennedy has been lauded for his visionary leadership both in the US and on the international stage. He is to be remembered for the advancement of civil rights as he continually fought against discrimination and inequality among peoples, Prime Minister Christie added.